Loosely based on an Arabian Horse, this Base Mesh Model was created and generously donated by Siddhartha Ahearne. 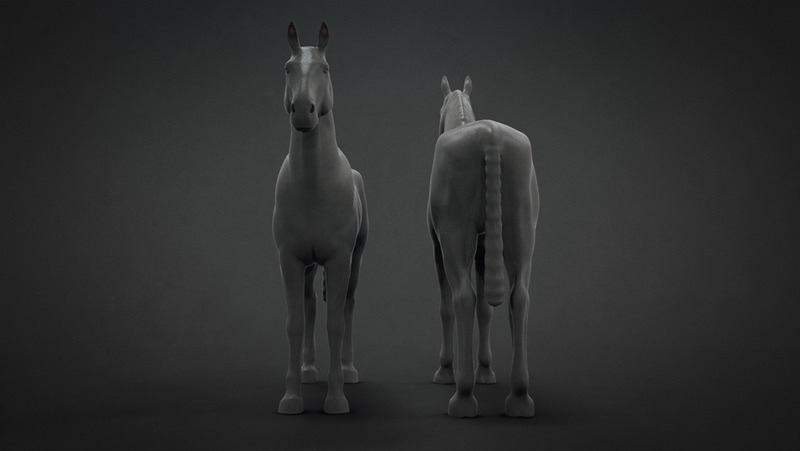 Created in ZBrush 4R6 (compatible with R5), this download contains 1 x .OBJ and 1 x .ZTL file with 2 Horse Models contained within it. 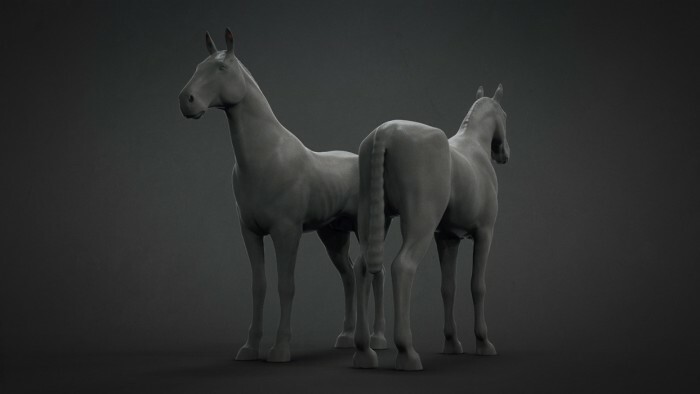 Each horse has slightly different topology and is made up of x 5 Subdivision levels. 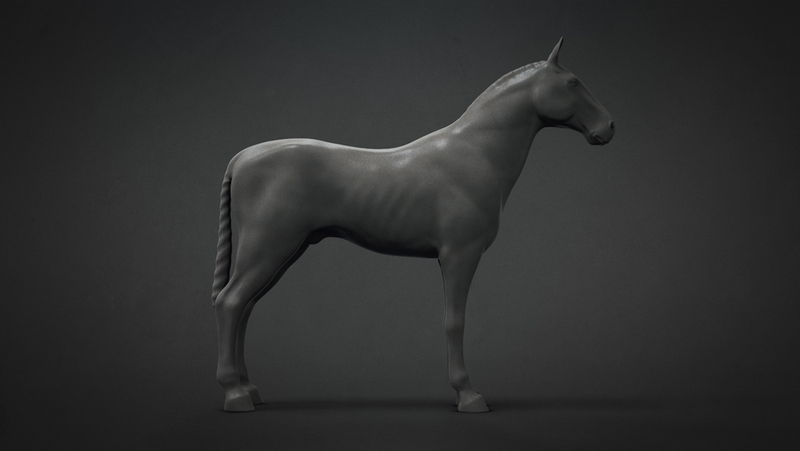 In addition, this download contains a bonus Softimage Horse Rig from gear.jeremiepasserin.com and a bonus Displacement Map making it a perfect starting point for enhancing your character or creating a prop for your live or still scene. hi, thanks BadKing and Siddharta. im just starting out with 2d/3d designing software, this horse would help a lot in my studies. thanks again. So glad to hear it’s going to come in handy, have fun creating! Brilliant model!! thanks from France! Much thanks for sharing this great model! Thanks. 2014, chinese year = Horse … ;). Awesome sculpt!!! Thanks for the donation!!!!! No problems Thanks to Siddhartha for generously donating his work! Thanks to Siddhartha and BadKing , very useful base mesh as always! Horse Rig for Softimage is interesting ! Copyright © 2019, BadKing.com.au Page generated in 1.92 seconds ( 100.00% PHP, 0.00% MySQL ).